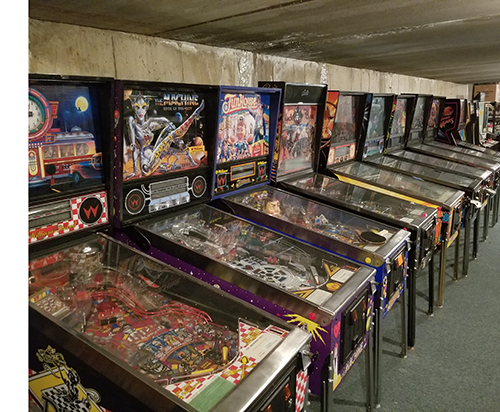 CARLSBAD, CALIFORNIA — When world-famous pinball and video game designer Brian Eddy custom-built his Chicago home in 2001, he opted not to install a control system, believing that they were too unrefined for his home. But as Eddy began the process of remodeling the 7,000-square foot space some 17 years later, he realized that an easy-to-use home automation system was exactly what he needed to complete it. 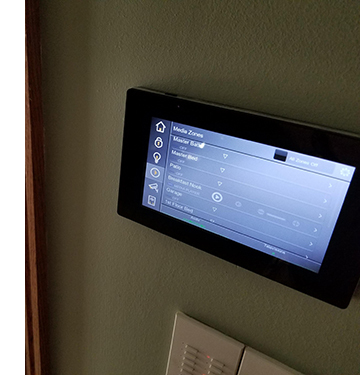 With the help of local Chicago integrator Doug Buchan of Buchan Consulting LLC, Eddy was introduced to the ELAN® Control System user interface, and instantly knew that it was the right fit for his home. The home, which is already equipped with a sprawling basement lined in pinball machines, a fire pole that leads from the 2nd floor of the master bedroom, a first floor giant twisting slide and a living room home theater, began a five-month long remodel, which would start with a refresh of all of the lighting within the space. The expansion of the fifteen-year-old Lutron Homeworks system that already controlled all of the lighting within the home started with a CEDIA certified technician review. Determining that the additional lighting loads would be easily added using GoControl Z-Wave lighting from Nortek Security & Control, the team was easily able to pull in the Lutron Homeworks lighting system with the help of the robust set of ELAN drivers. With ELAN handling the lighting loads, the existing system and new Z-Wave lighting work seamlessly together and no difference was seen by the homeowner when controlling the lighting through the new ELAN system. One of Eddy’s requirements during the remodel was activating the home’s 12 independent zones of audio that had sat dormant for over a decade. To do this, a pair of ELAN S1616A multi-room audio amplifiers were installed to provide audio to over 30 speakers in the home, including the family room home theater. Autonomic music streamers enabled Eddy to easily stream music from his windows-based PC as well as his online music services. The ELAN S1616A amplifiers also provided the configurability needed to tackle Eddy’s request that the door chime audio and alarm zone announcements play through the home’s speakers. Using a DoorBird, an ELAN g1 system controller and a Honeywell security panel with annunciator, Buchan’s team was able to have alarm zone announcement and doorbell chimes play directly through the home’s speakers when triggered. For remote energy management of the entire system, including the lighting, security and audio, Buchan and his team use Panamax® power conditioning with BlueBOLT functionality, which allows for easy control and monitoring of the energy used by the electronics in the space. Nortek Security & Control LLC (NSC) is a global leader in smart connected devices and systems for residential, security, access control, and digital health markets. NSC and its partners have deployed more than 4 million connected systems and over 25 million security and home control sensors and peripherals. Through its family of brands including 2GIG®, ELAN®, Linear®, GoControl®, IntelliVision®, Mighty Mule® and Numera®, NSC designs solutions for national telecoms, big box retailers, OEM partners, service providers, security dealers, technology integrators and consumers. Headquartered in Carlsbad, California, NSC has over 50 years of innovation and is dedicated to addressing the lifestyle and business needs of millions of customers every day. For further information, visit www.nortekcontrol.com.